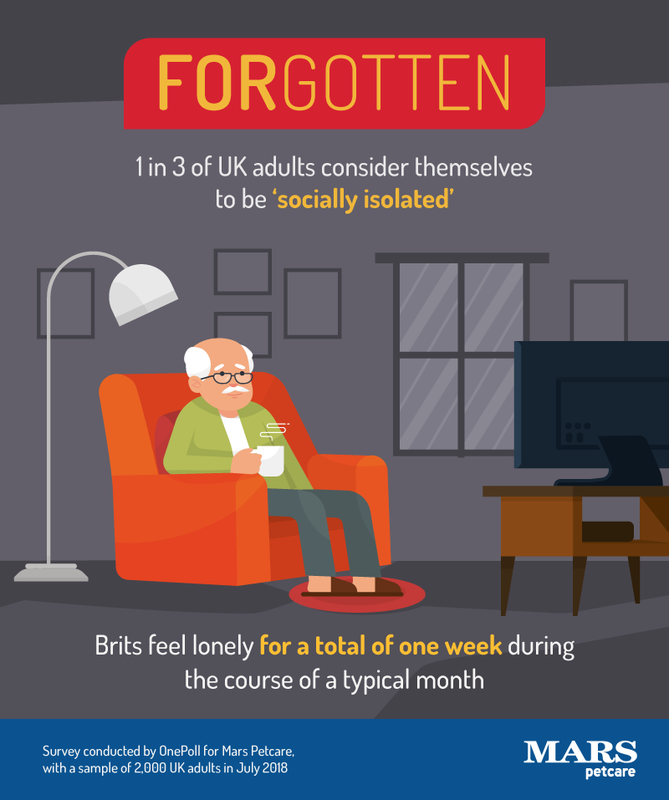 The average Brit feels lonely for seven days during the course of a typical month, it has emerged. Experts who carried out a detailed study found one in three of us describe ourselves as ‘socially isolated’. And typically UK adults have just two people they feel they can truly confide in. Increasingly demanding careers are a factor – 32 per cent revealed working extra hours has been detrimental to their social life. 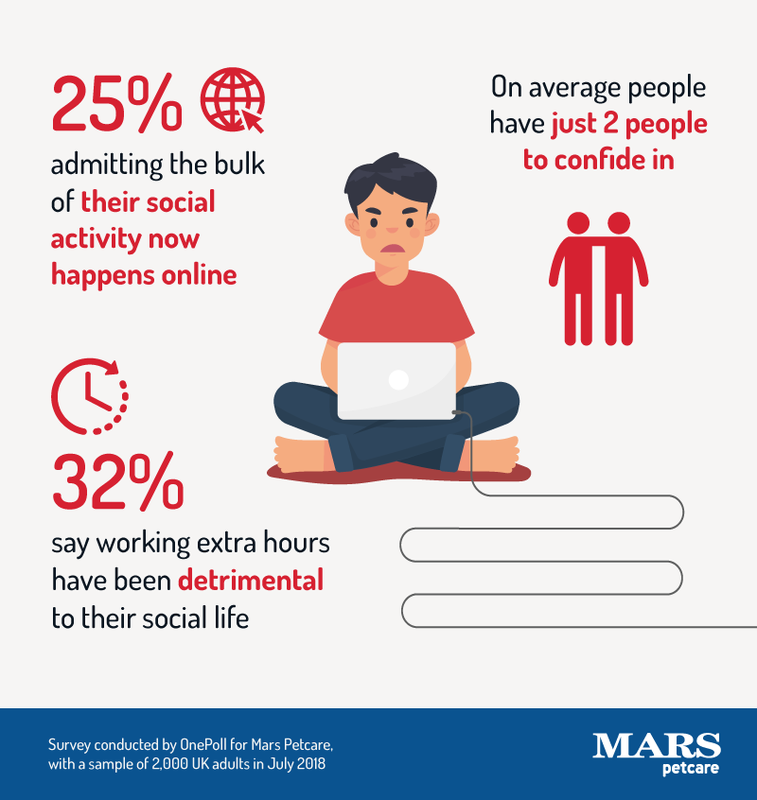 Social media has also had an impact, with one quarter admitting the bulk of their social activity now happens online. 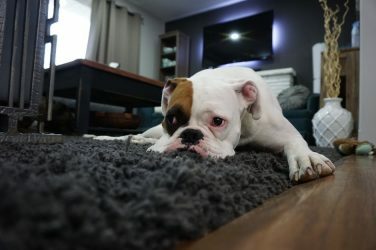 However pets appear to make all the difference – just 21 per cent of those with cats and dogs said they were lonely compared to 32 per cent of those without pets. Deri Watkins, general manager for Mars Petcare, which commissioned the research, said: “We firmly believe that pets could form part of the solution to the growing issue of loneliness in the UK. “We’re extremely passionate about the issue, which is why we submitted the study findings to the Government, following their call for evidence on suggested approaches for their Loneliness Strategy. 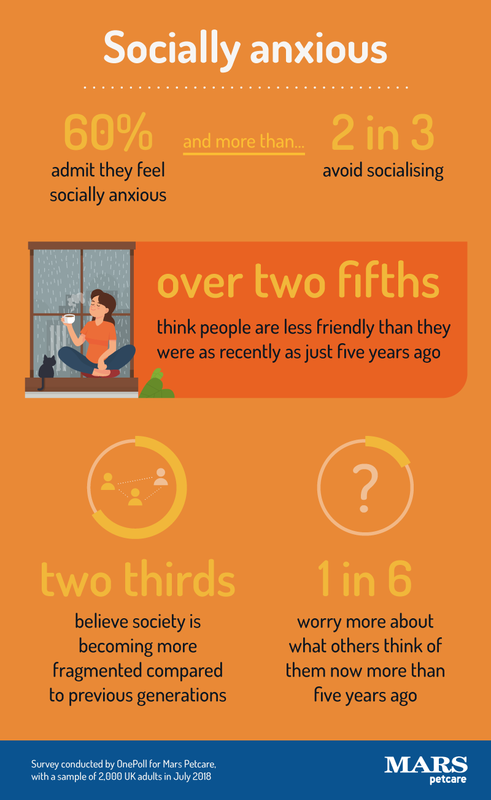 The research also found six in 10 feel socially anxious – and more than two thirds avoid socialising altogether. Forty-four per cent think people are less friendly than they were as recently as just five years ago. And two thirds believe society is becoming more fragmented compared to previous generations. 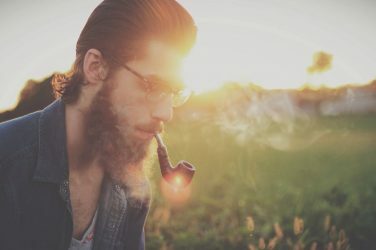 While one in six admit they worry more about what others think of them now than they did five years ago. However those with pets revealed having a furry friend makes all the difference. 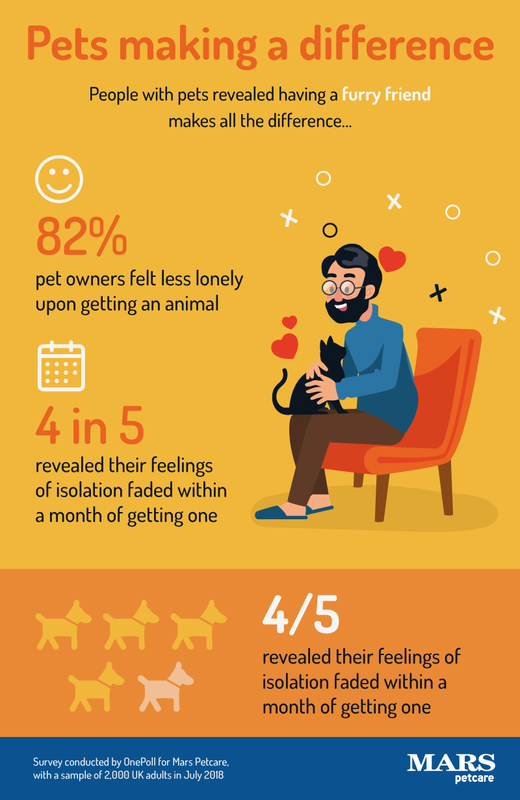 The research, carried out through OnePoll.com, found 82 per cent of pet owners polled felt less lonely upon getting an animal. In fact, four in five said their feelings of isolation faded within a month of getting one. Six in 10 even went as far as to describe their pet as their closest companion. 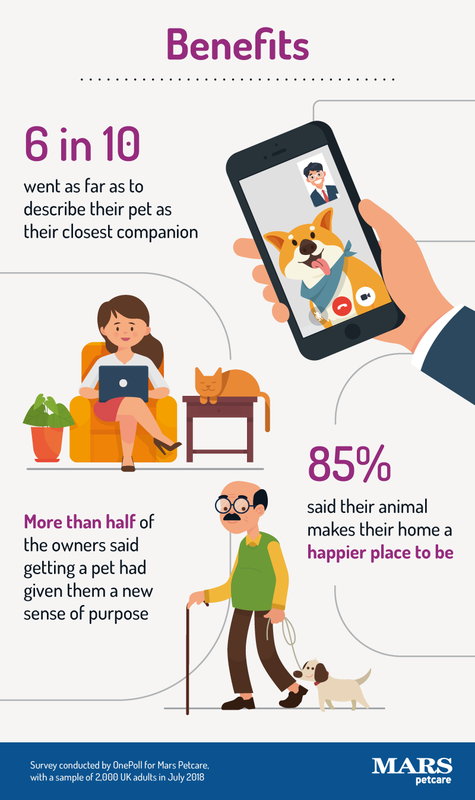 And 85 per cent said their animal makes their home a happier place to be. More than half of owners said getting a pet had given them a new sense of purpose, while 62 per cent of those with a dog said they do more exercise than they would if they didn’t have a canine chum. 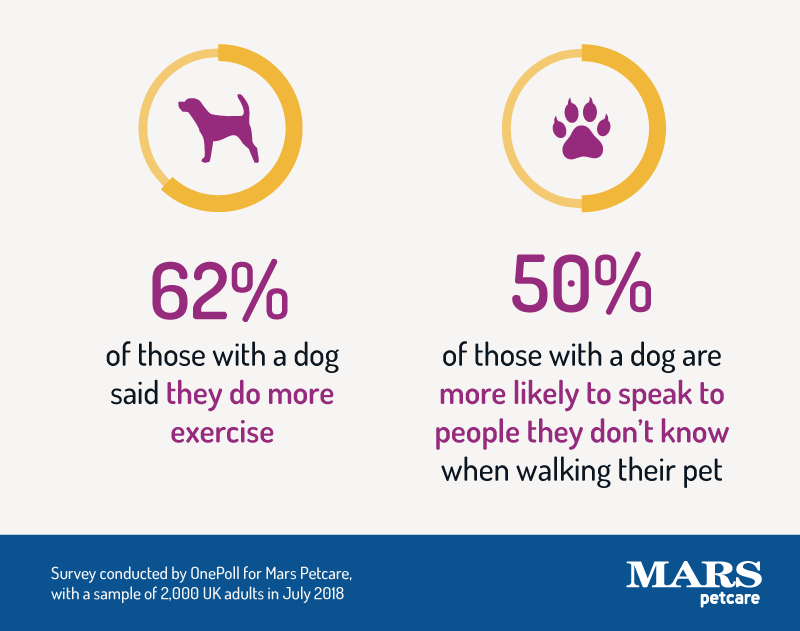 And this in-turn appears to boost their social lives, with half of those with a dog more likely to speak to people they don’t know when out walking their pet.